The Hunger Games has had quite a journey since it first came out on September 14, 2008. From the humble beginnings of a 200,000-book first run, it has become one of the bestselling books in recent years, with sales growing exponentially over the past year as anticipation for the film has mounted. And early surveys for the movie are showing that the adaptations could be some of the largest grossing of all time, even rivaling the record-breaking Harry Potter and Lord of the Rings movie series. Even with all this buzz, some of the numbers are astounding. Read on to find out everything you need to know about the books and movie, from how many movies there will be in the series to how much Jennifer Lawrence made for her role as Katniss to how long you’ll have to wait for the second movie to come out. 142 minutes: The length of the movie. 4,000+: The number of screens that will show The Hunger Games on March 23rd. $70-120 million: The amount that the movie is predicted to earn in its first weekend at the box office. 4: Number of movies they’re planning on making in The Hunger Games series; Mockingjay, following in the style of Harry Potter and Twilight, will be split into two movies. 8 million: The number of times The Hunger Games trailer was viewed in the first 24 hours after being released on Nov 14, 2011. 83 percent: The portion of sales on Fandango.com that came from selling The Hunger Games tickets on February 22–the day they went on sale. This is the largest number of first-day sales in the website’s history. 2.8 million+: Number of fans that the movie has on its official Facebook page. 84 percent: Portion of moviegoers who say they have heard about this week’s The Hunger Games movie release. 61 percent: Portion of moviegoers who say they are interested in seeing the movie when it comes out. 8.3: The average critic rating for the movie on Rotten Tomatoes as of March 19. 73: Critic score out of 100 that the movie has on Metacritic as of March 19. $78 million: The final budget for the Hunger Games movie after subsidies. 84 days: The approximate amount of time spent filming the movie in and around Asheville, North Carolina between May 23, 2011 and September 10, 2011. 1,200: The number of special-effects shots in the movie. $500,000: Amount Jennifer Lawrence will make for the first movie before “escalators” if the movie does well. 200,000: The number of copies in the first print run of The Hunger Games. 4.3 million: The number of The Hunger Games series books sold in the United States in 2010. 9.2 million: The number of Hunger Games series books sold in the United States in 2011â€”more than double the number sold in 2010. 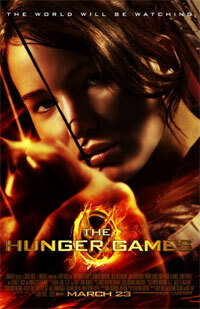 7.5 million+: The number of books sold in the United States just since the trailer was released on November 14, 2011. 23.5 million+: The total number of copies sold in the United States alone. 160+: The total number of weeks that The Hunger Games books have spent on the New York Times Bestseller list. 1, 2, 3: The spots filled by The Hunger Games, Catching Fire, and Mockingjay respectively on Amazon’s list of top-selling physical books and its list of top-selling Kindle books in the months of January and February (March numbers not yet released). 26: The number of languages that the books have been translated into. 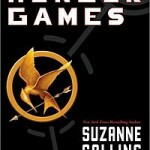 5: The Hunger Games‘ ranking on the American Library Association’s list of most-frequently challenged books in 2010. 609 days: The amount of time fans will have to wait until the second movie, Catching Fire, is released on November 22, 2013. 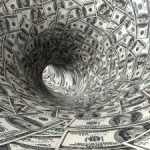 Mainstream Contemporary Novelists: Only About the Money? Aaaaaa! I’m so excited! I’m currently re-reading this one in preparation of the movie, and man, it’s totally just as good as I remembered. I was practically in tears in the first twenty pages. Anyway, awesome post! I think it’s interesting that nearly 1/3 of the books sold in the US have been since the trailer came out. Apparently people are pretty pumped!